It is the first frozen yogurt store in Jakarta and their site is just so much fun! 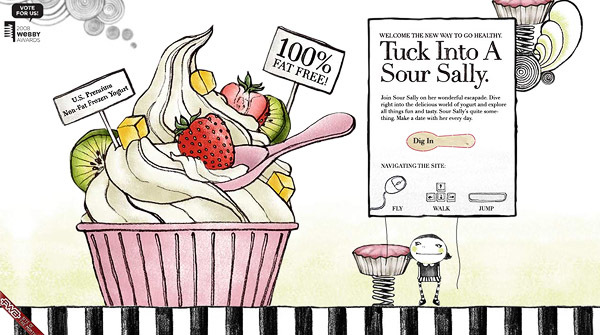 The site allows you to move “Sally” through a wonder world of ingredients. It is designed as a small game where you help sally collect all the ingredients to make the yogurt. Not the most easy to navigate, perhaps, but adorable.